remove the modules while they are still supporting the load. Caution: PDMs must be replaced by trained personnel only. 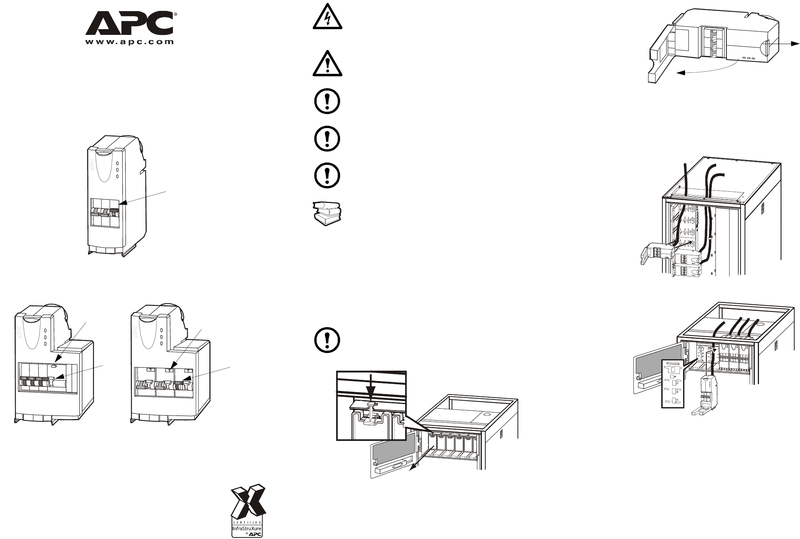 Note: PDMs with RCDs are equipped with a test button. See Operation Manual 990-3054 for more information. Remove the PDM from its carton. Cut cable ties and unwind the power cable. be removed from the busbar. Press down on the clip. Pull out the plate from the unit. (Do not throw away the filler plate. Keep it for potential later use). Verify that all the breakers are in the OFF position. Press the red button to release the latch. into the cable power troughs (if applicable) on top of enclosures.